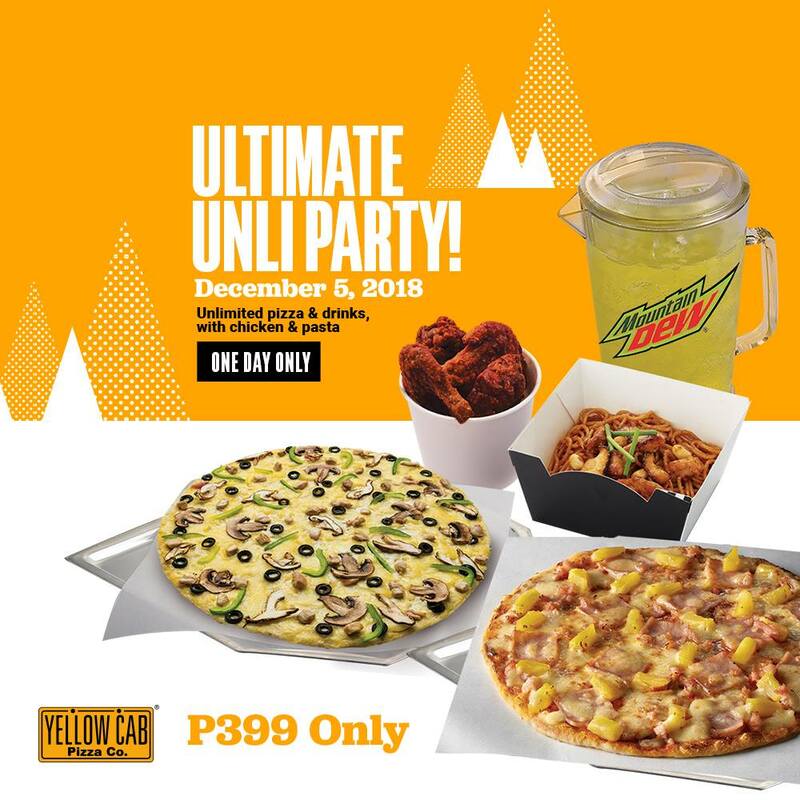 Yellow Cab Pizza’s Ultimate Unli Party – December 5, 2018 ONLY! Looking for a midweek delight of gastronomic kind? You’re in luck, ‘coz today is Yellow Cab Pizzza’s Ultimate Unli Party! Experience burst of flavor in every mouthful! Make sure to come hungry at any Yellow Cab pizza stores as they are serving unlimited pizza (Hawaiian or The Bronx Creamy Mushroom) and Mountain Dew plus one (1) serving of Regular Hot Wings & Pasta (Choice of Charlie Chan Chicken or Spaghetti & Meatballs). All of these just for Php399, TODAY ONLY! The Yellow Cab Pizza’s Ultimate Unli Party promo is only available for dine-in transactions only. 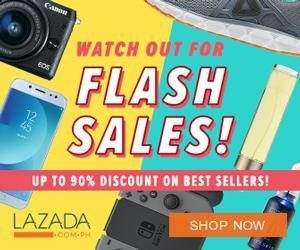 This is a 1-day promo on December 5, 2018 from 12:00 am-11:59 pm (for 24-hour stores), and regular operating hours for other stores. All transactions beyond 11:59pm shall no longer be allowed to avail the promo. Customers can stay for maximum of 2 hours upon receipt of payment. Promo price is P399/head (VAT inclusive). Participating unli products are Large (14”) Hawaiian, Large (14”) The Bronx Creamy Mushroom pizza cut into 16 slices. Strictly no leftovers. Customers will be charged an amount of 1 regular-priced 14” The Bronx Creamy Mushroom pizza for wastage of food. Strictly no sharing of the pizza and Mountain Dew to other parties who have not purchased the promo. Senior Citizen / PWD may only choose to avail the Senior Citizen / PWD discount with their order OR The Ultimate Unli Party – not both. However, they are entitled to VAT exemptions. 'yellow cab unli pizza' -Enjoy!